This email is to inform you that we have received your housing deposit or other essential information and you are officially qualified to participate in Room Selection this upcoming April for the 2014-2015 academic year. You will receive a lot more information in the weeks to come but for a quick overview about the Room Selection process, I encourage you to check out our BuzzFeed Listicle entitled “The 12 Stages of Room Selection at Seton Hall University” http://www.buzzfeed.com/cherylj17/the-12-stages-of-room-selection-at-seton-hall-univ-ly16 for a fun overview! The next step in this process is the calculation of your Priority Points. We will be working over Spring Break to combine your academic, judicial, campus involvement, and residence hall citizenship Priority Points to find your total Priority Point number. This number will determine in which order you may pick a room and for which Room Selection processes you qualify. 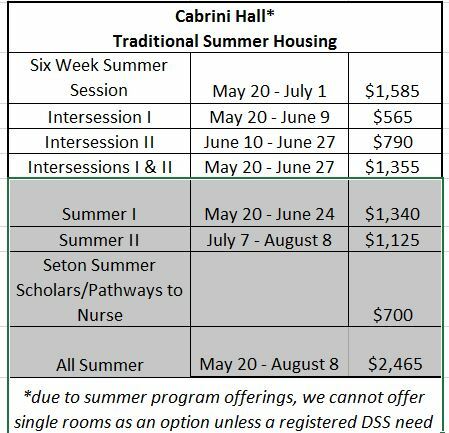 (Please note you will need 29 or more Priority Points to retain your current room in Cabrini, Neumann, Serra, Ora Manor, or Xavier and will need 27 or more Priority Points to be pulled in as a roommate.) We will send all Priority Point totals via email the week of March 18th. For more information about Priority Points please go to http://www.shu.edu/offices/policies-procedures/housing-residence-life-priority-points.cfm . 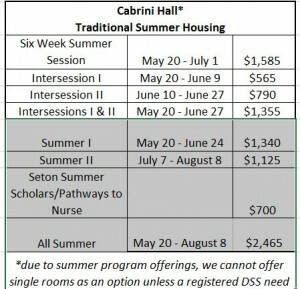 Room Selection will begin in April and that is when you will be able to select a room for next year. The number of students who wish to select a room is very high so please have several back-up options for the room type you would like to pick. It’s a good idea to begin those conversations with your friends and family now. Please remember in accordance to the Housing License Agreement, you must be registered as a full-time student (12 or more credits unless graduating) so please pay attention to class registration deadlines so your housing assignment will not be jeopardized. For more information about Room Selection and all things Housing-related, be sure to follow us on Facebook at Twitter @SetonHallHRL.